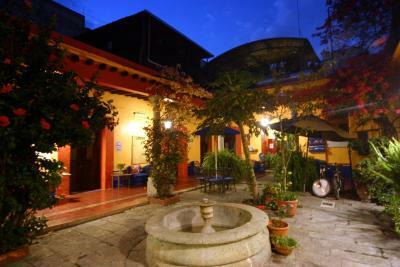 Lock in a great price for Hotel Posada del Centro – rated 8.6 by recent guests! The staff were very friendly and helpful, especially with regards to helping us get taxis to some of the more far-flung destinations - Arrazola, the airport, El Tule, etc. The hotel was centrally located and it took just 2 minutes to get to the Zocolo. As a bonus, there is a great laundromat just a block away -- my recommendation would be to pack light in terms of clothes and just plan on having your laundry done during your stay. For 7.5 kilos of clothing (a large duffel bag's worth) it cost us 180 pesos (around $9-10 USD) to have our laundry cleaned, dried, folded, and delivered to the hotel, all within 3 hours. The bed was very comfortable! It was a king size bed with 2 separate good mattresses. The room was not noisy. You could have drinking water from a big water bottle. I liked the fact that they have a board by the front desk and they write the guests name to welcome them. Vicente at the front desk (night shift) was very nice and helpful!! Very good employee!! I met the owner and she was very nice as well. The outdoor areas were beautiful, even thought the hotel rooms them selves were pretty basic. They also serve coffee and cookies every morning starting at 7am. The staff were very friendly, and constantly replacing towels and tidying up. 100% non-smoking hotel. What a pleasure to enjoy their garden patios and roof top garden without enduring annoying, and life threatening (in my case)disgusting cigarette smoke. Also our hosts were lovely and bi/lingual which was helpful and comforting. They offered to help us with personal challenges, help us de-tangle ourselves. Also, a huge bonus for me was the firmness of their mattresses. If I don’t sleep on a firm mattress I don’t sleep but experience horrific back pain. Great location. Light, airy room. Clean, fresh towels. Bottled water available everyday. Nice courtyard. Nice night time view of city from upper patio. They offered complementary coffee and cookies every morning up until 10:30 am. They also offer free bike rentals for guests. Very friendly staff. The people, the garden atmosphere, the location, lots of pure water available at all times to fill our glasses and water bottles. Can’t say enough about the staff and gardens. Loved our stay and highly recommend. Nice place. Nice courtyard. 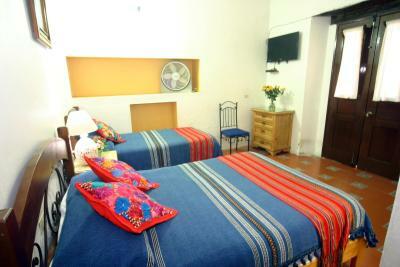 Authentic Mexican Hotel with nice staff. I enjoyed my stay there. The room wasn’t very big but fine for one person. 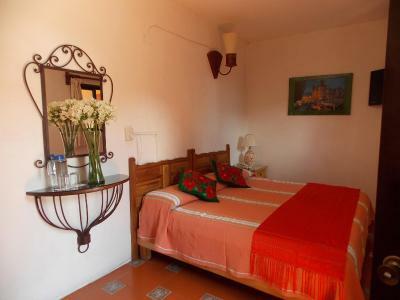 Hotel Posada del Centro This rating is a reflection of how the property compares to the industry standard when it comes to price, facilities and services available. It's based on a self-evaluation by the property. Use this rating to help choose your stay! 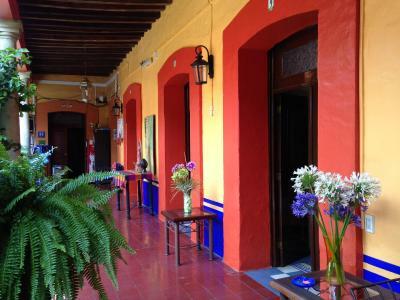 Just 650 feet from Oaxaca's main square, Hotel Posada del Centro is a traditional building with a charming central patio. 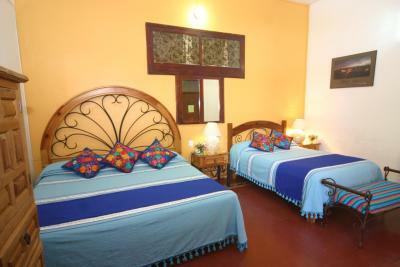 Each simple room features rustic Mexican-style décor, mosquito nets and free Wi-Fi. 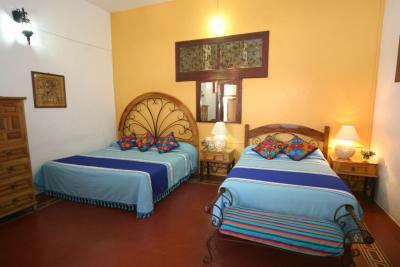 Hotel Posada del Centro offers free local and long distance telephone calls. Offers a safe and luggage storage service. Free coffee and biscuits are provided each morning at the Posada del Centro. Local restaurants and snack bars can be found within a 5-minute walk. 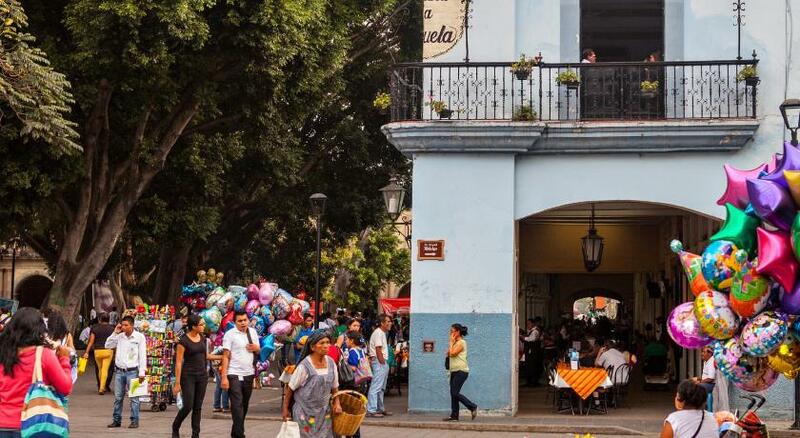 There is a craft market just 1,650 feet from the Posada del Centro, while Santo Domingo Church is a 7-minute walk away. 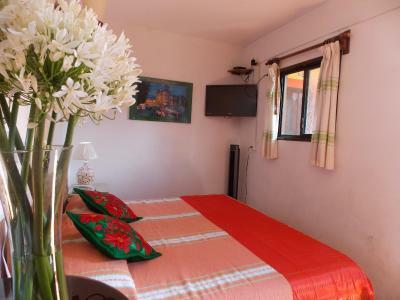 The hotel can arrange tours of the city and surrounding area at an extra cost. 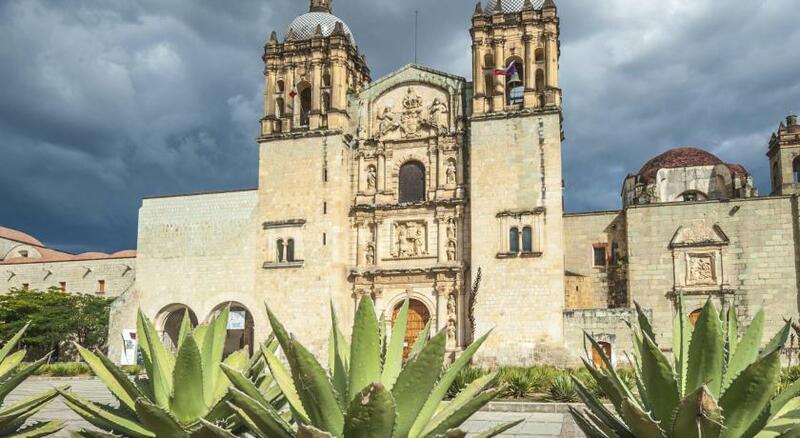 This is our guests' favorite part of Oaxaca City, according to independent reviews. 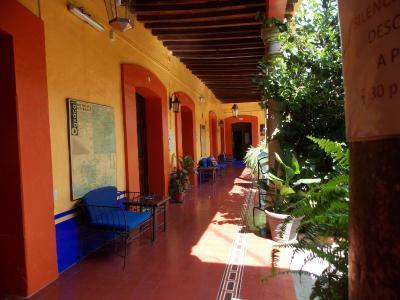 This property also has one of the top-rated locations in Oaxaca City! Guests are happier about it compared to other properties in the area. 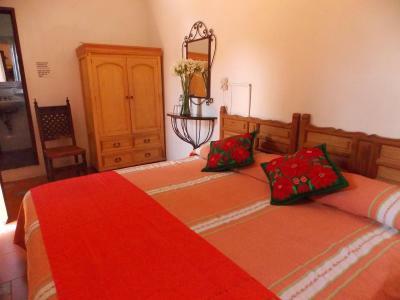 This property is also rated for the best value in Oaxaca City! Guests are getting more for their money when compared to other properties in this city. 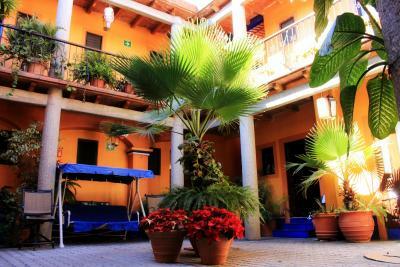 When would you like to stay at Hotel Posada del Centro? 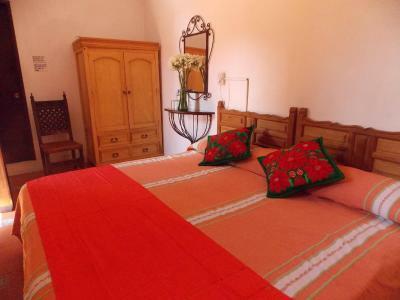 This simple room features a flat-screen cable TV, a fan and free Wi-Fi. There is also a private bathroom. 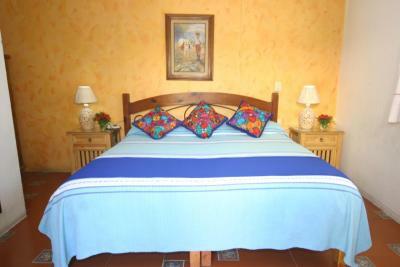 Private parking is available at a location nearby (reservation is not needed) and costs MXN 150 per day. 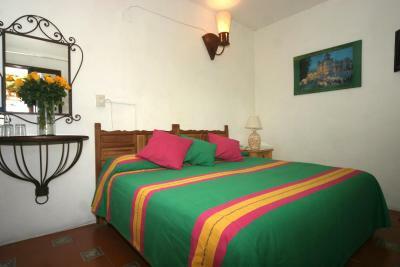 This simple room features rustic Mexican-style décor, mosquito nets, flat-screen cable TV and free Wi-Fi. It has garden views and a private bathroom. Shops and restaurants drawing on indigenous culture flourish in this charming district. The colonial-era buildings here are built from green volcanic stone. 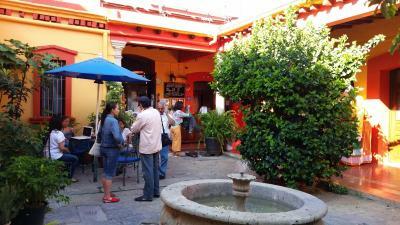 House Rules Hotel Posada del Centro takes special requests – add in the next step! 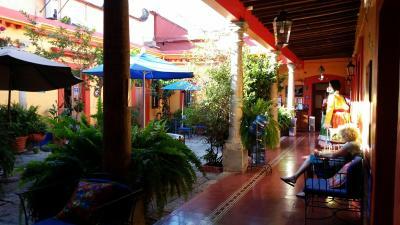 Hotel Posada del Centro accepts these cards and reserves the right to temporarily hold an amount prior to arrival. 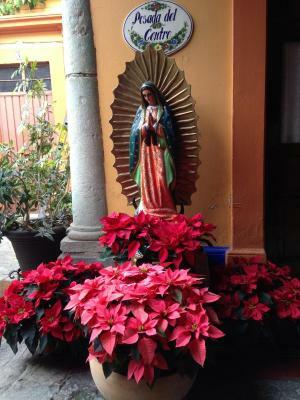 Please note that Hotel Posada del Centro requires a deposit via bank transfer or Paypal. 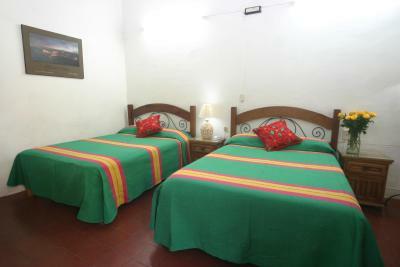 Hotel Posada del Centro will contact the guest with information after booking. Please note that the property has a no alcohol policy. Please, contact the property for more information. Please note that parking is located one and a half blocks from the property. For more information please contact the property. Please inform Hotel Posada del Centro of your expected arrival time in advance. You can use the Special Requests box when booking, or contact the property directly using the contact details in your confirmation. 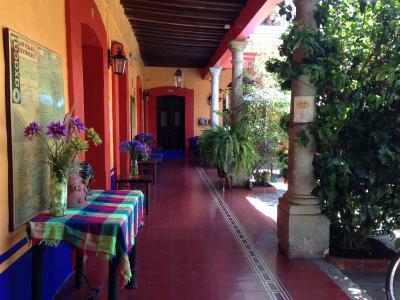 One of the most picturesque neighborhoods in Oaxaca City! the room seems nicer on the picture than in reality. The location because it's in downtown. The patio is nice. 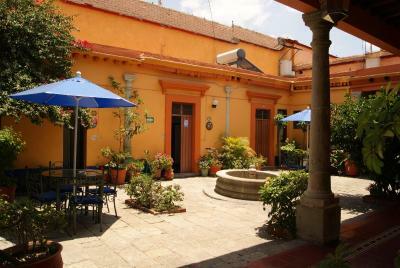 A beautiful old colonial building kept immaculately clean with a very tranquil atmosphere and restful green courtyards but right in the heart of the old town moments from Plaza de la Constitution. It is a real gem of a place and great for a solo traveller. Rooms are small but very clean. Can hear neighbours as building is old but very quaint. Staff were lovey and very helpful. Very safe and in a beautiful area. The reception stuff isn’t welcoming at all. 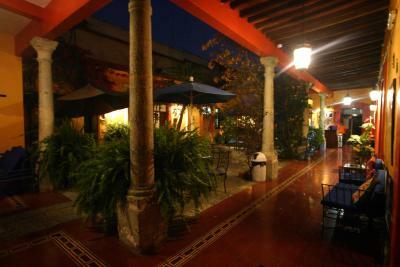 The hotel is very well located in the middle of Oaxaca city. The room was big and clean. The shared bathroom was equipped with shampoo and also very clean. The garden has a nice atmosphere. Don’t expect to much- it’s a basic hotel which is very nice. We booked this place based on the excellent reviews, unfortunately we were disappointed the location while central is on a busy street, the staff were not very friendly once we arrived, the toilet didn't flush well and the floor was not very clean. we paid a hotel price for a hostel experience. I would not recommend the hotel not return. 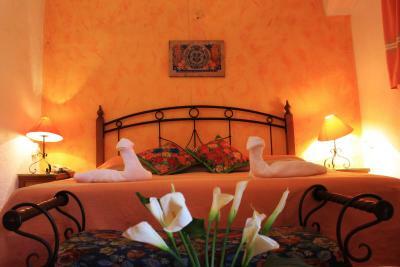 The bed could be more confortable (2 simple beds together for a double bed) and the room more light. No breakfast nor restaurant integrated on the hotel but this was not a problem for us as there are so many options around. 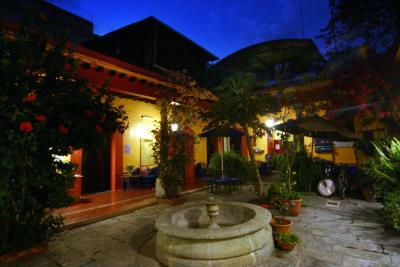 This is a beautiful little hotel very well located in the very center of Oaxaca, 5min walk from Zocalo. 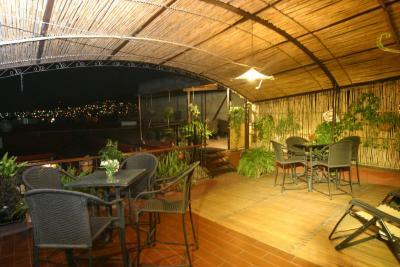 The 2 patios full of plants and the terrace are lovely areas to relax. The owners are very nice and helpful. Our original room was right next to the street and was very noisy. 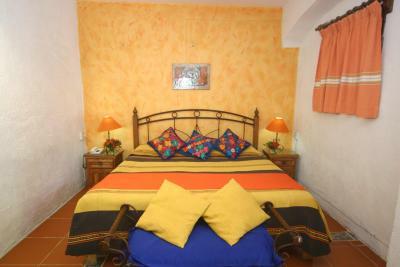 However, when we asked the staff if we could have a quieter room they were very accomodating and switched us right away. I would recommend asking for a quiet room upon booking, one away from the street. The shower head was very very bad!!! There was almost no water coming out when taking a shower. It was very frustrating! Housekeeper could definitely do a better job to have a clean room. The morning coffee is free and some cookies, but they are not very good. The shower was super hot and the beds super comfy. 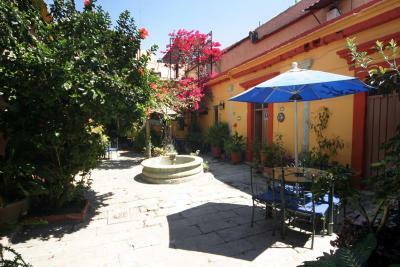 A central location with lovely courtyard. The patio are keeps the echo from people talking. The hotel needs to enforce a more quiet environment at earlier times in the night time. WiFi ok but not great. The shower is basic, with not much hot water available at times. With a very good location, and at a reasonable price, this basic place is a good deal. Shared bathroom was not very clean and well-designed. This is a very beautiful old hotel with an amazing little garden in great location. It is nice that they offer cookies and tea/coffee in the morning. Our room is spacious and clean.